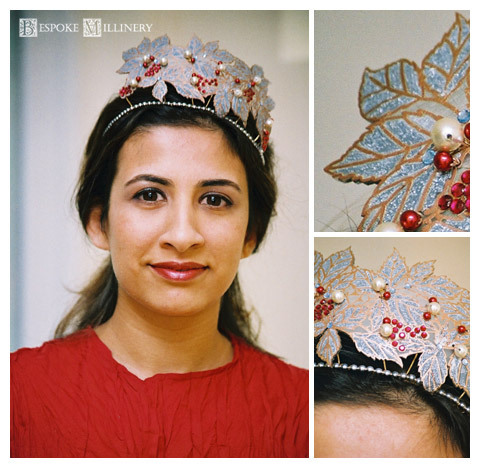 Hair jewels and tiaras don’t just have to be worn at weddings. They can be worn long after the event for a number of special occasions such as a summer ball or an exclusive night out. To bring out the faded glamour, Foliage uses vintage costume pearls complemented with claret Swarovski crystals. This style is perfect for the bride who’s looking for jewellery to contrast her outfit.